Welcome on a student tour to Canterbury & Leeds Castle. 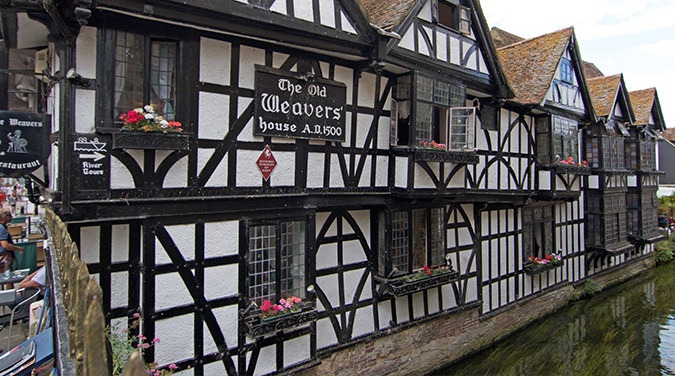 For a small city Canterbury packs a huge punch, not just for the visitor but also in the history of England. The Romans first built the city walls, it was here that St. Augustine brought Christianity to these islands nearly 1500 years ago and it is here that the battles between the church and the monarchy have been fought out shaping the structure of how England is ruled and governed. The Romans were largely responsible for building the first city and the city walls follow the original Roman walls which had seven gates in and out of the city, Augustine established the church in the city and built the first cathedral here in 602, the present cathedral is the mother church of the Anglican faith and was started in 1077. 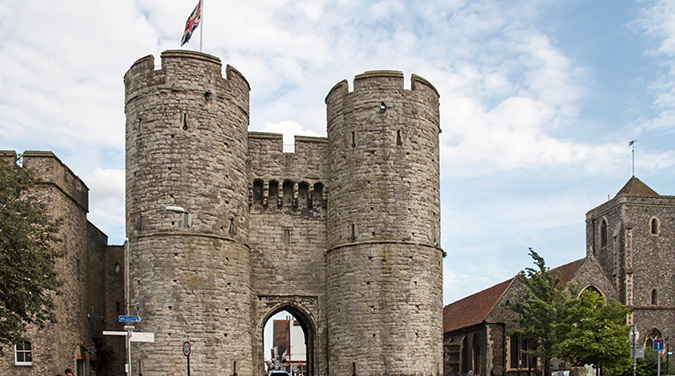 There are many historical buildings to see from the Norman castle to the impressive West Gate. Within the city walls you can find a warren of shopping streets dotted with pubs and restaurants offering a chance for culture vultures to refresh before delving in to this city’s long history. 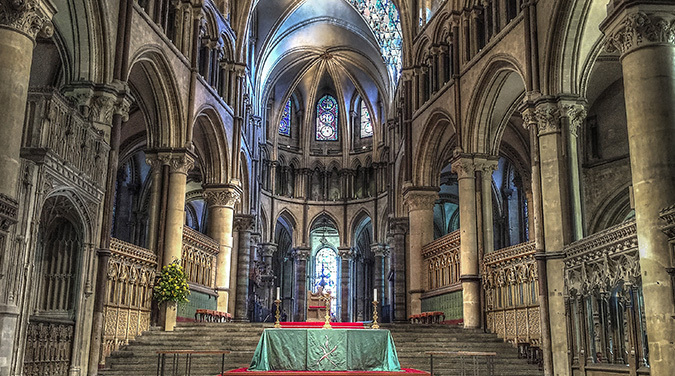 Canterbury Cathedral: St Augustine was sent to England by Pope Gregory the Great in 597 to convert the people of the islands to Christianity. Luckily for Augustine the local King, Ethelbert, had married a Christian from France so he was quite open to this new idea of Christianity. One of the things Augustine did was to build a cathedral, which he founded in 602, this first cathedral was small and made of wood but over the centuries it has been added to become the great church it is today. Inside the Abbey you can see the spot where Thomas Beckett was murdered and the tomb of the Black Prince. Entry costs for students is £10.50 and non-students is £12.50. St Augustine’s Abbey: As well as the cathedral Augustine built an Abbey, this was where the monks and priests could be educated. The Abbey was founded in 598 and grew over the centuries to being one of the largest in the country. Under the reign of Henry VIII and the reformation all Abbey’s were forced to close and the king took much of the Abbey’s wealth and what took 1000 years to build was dismantled in just 15. Today you can walk around the ruins of this historic building. Canterbury Castle: In the year 1066, William, Duke of Normandy invaded the country to take the crown from Harold, Earl of Wessex. Harold was killed in the battle and William became King, William the Conqueror. William decided to build castles across the South of England to protect his new kingdom. At fist an earth castle was built whilst the stone castle was constructed nearby. Today you can walk around the remains of both castles. Other info: There are various museums to visit in the city centre, the Roman Museum helps you explore the history below your feet, see mosaic floors and Roman heating along with tools and utensils they would have used. 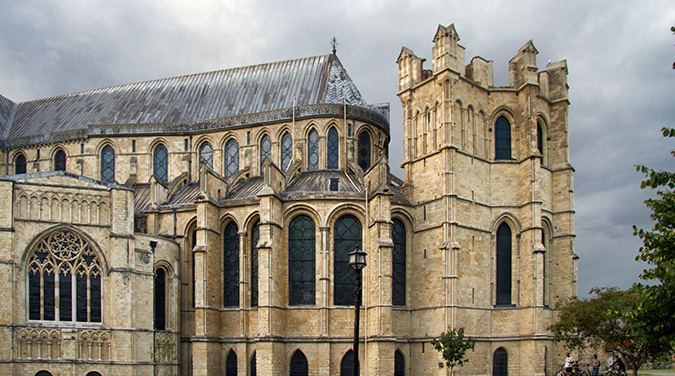 The Canterbury Heritage Museum is housed in an old 14th century hospital and tells you the story of Canterbury with over 30 hands on exhibitions from Viking runes to the modern day.